Get Your Car Summer-ized and Ready for the Beach! May 26th, 2017 by Chloe L.
Are you a beach bum? Many of us here in Florida are. Summer is right around the corner, and every weekend is a beach weekend. 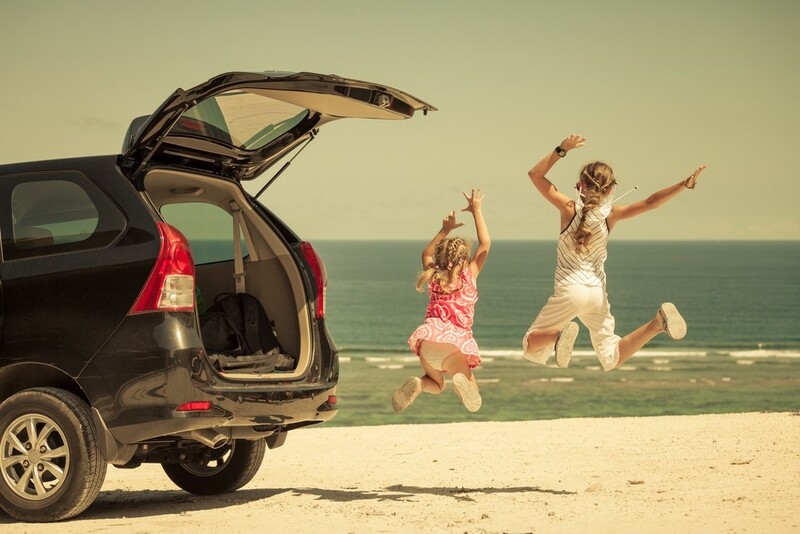 Is your vehicle summer and beach-ready? All it takes is a few steps to get your vehicle completely “summarized” and beach ready. With April showers and May flowers (and pollen) vehicles get pretty dirty. If you live near the beach or visit the beach a lot, the salty air also makes cars pretty dirty, too. Give you car a good wash and waxing before summer, and continue to wash it (ideally weekly) throughout the summer to keep it in the best condition possible. You can either get your A/C checked by a mechanic, or you can look up how to do it to save money! The last thing your want is the air breaking down on the way back from a 90-degree beach day. Especially the blades! You want to make sure the wipers are in good shape and will do their job during the daily 5 p.m. thunderstorms that come with Florida summer. As weather gets hotter and the pressure changes for storms, your tires may let out air. Keep up with checking the pressure regularly and filling when needed. Trust us, those products are great investments for South Florida! The portable vacuum is great for those who love the beach, no one likes sitting on sand. Sun shades for the windows and car covers will keep the interior of your car as cool as possible in the hot Florida sun. In addition, the car cover can help protect your car from debris during storms. Need a new car for this summer? Check out our inventory at Driver’s Auto Mart. 0 comment(s) so far on Get Your Car Summer-ized and Ready for the Beach!